Reviewing [SEE: Reading for and writing] has been taking up much of my reading time. So has dipping into too many books, finishing none of them. 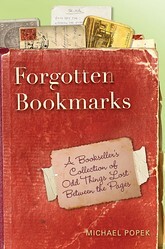 Right now I have two Booklist reviews I'm working on, one for Library Journal and a BookBrowse.com novel on its way. 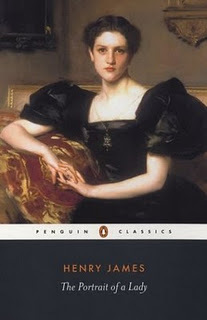 My library classics group is reading James's Portrait of a Lady, and after recently meeting writers including Bill Bryson and Michael Cunningham I now want to read/re-read their entire backlists. Meeting them reminds me how ultra-wonderful they truly are. For the library I've committed myself to producing at least two reviews on a bi-weekly basis, though further thinking makes me wonder if I shouldn't just make that one review per week. I'm making these book recommendation posts part of our already existing library blog, titling my portion "The Librarian's Shelf." It's pithy and the meaning is clear. Gotta be short and snappy these days. Say it in 140 characters or less or you lose your audience. Guess it's okay to say my first Booklist review coming down the review shoot is Caitlin Flanagan's Girl Land, due out January 2012. For Library Journal it's more Russian history (yum!) with Alix and Nicky: The Passion of the Last Tsar and Tsarina by Virginia Rounding, also slated for publication early next year. Won't tell you the title for BookBrowse, sorry. I know that's just crushing you but I have refusal option and can't say I'll elect to finish and review it at all. What else in book news? 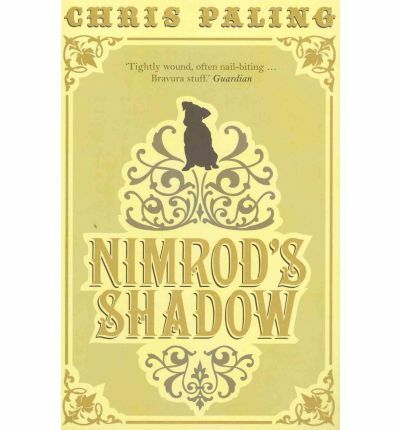 I finished Chris Paling's Nimrod's Shadow. Lovers of English mysteries involving the contemporary flashing back to a related plotline in the Edwardian era will eat this one up. Doesn't hurt if you're into artists of a young and handsome nature living alone with his Jack Russell terrier, either. "Reilly is an impoverished painter who lives alone in a shabby garret, with only his unsold canvases and his faithful dog Nimrod for company. He seems destined to remain in artistic obscurity until the most influential art critic of the time begins to notice his talent. But no sooner has he found a patron than the critic is found downed in a local canal and the trail leads directly back to Reilly. From Reilly's prison cell in Edwardian London to an exclusive gallery in contemporary Soho, the clues that lead to the real murderer lie carefully hidden, until the day when Samantha, a young office assistant, finds herself drawn to one of Reilly's pictures and decides to embark on her own investigation…Steeped in atmosphere and laced with intrigue, Nimrod's Shadow is a gripping tale of genius, jealousy, and revenge – with a few twists and turns along the way." Finished it last night at nearly 1:00 a.m. I had to know what happened, I cared so much about both Reilly and Samantha. Such great imagination this man has! Wonder if I can track him down for a quick email interview? Dear Readers, I will try. Turns out he's written several other books as well. And somehow Nimrod was the first to make my radar. I wrote his publisher, asked for a review copy and voilà! A couple weeks's worth of great reading (in between other books). Just wish Nimrod himself had featured more. Then again, owning two JRTs I'm a little prejudiced. But this one's not getting nearly enough attention here. Looks like it's available in the States in Kindle edition only. Not sure if that's a good or bad thing. In any case, it's a genuinely entertaining read and a page-turner and so dratted much fun! Paling's described as a melancholy but uplifting sort of writer. We need to get to know him better. Don't let the Brits keep him to themselves! The writer's a used/rare bookseller, bestill my heart, blogging here. Pop over to see some of the curious things he's found in books through the years, and buy a copy of his book to have it for your very own, to read and re-read during the wintry months when you'll need a good laugh. At least I will, in snowy Chicagoland. Here's an article the author, Michael Popek, wrote for the The Wall Street Journal. In my former life as an online bookseller I found some pretty nifty things, too, though nothing on the scale of this. My most lucrative find was a DOLLAR BILL! And, for a bookseller, that's a big boost to profits. The most interesting thing? Two black and white photos of Edwardian era women, taken in someone's parlor/drawing room. If Icould track down their family or families I would. Can you imagine the genealogical interest? I have a book (recipe and "receipt" book) with Nixon family genealogy written in. I've posted twice to Nixon family genealogical forums and no one's contacted me back. Know a Nixon from Ohio? And no, I'm sure if it's that Nixon. As usual, I'm having far too much fun reading and poking into corners finding books that make my heart go pitter-pat. Lisa I love the way you find authors we should know better here in the UK but don’t! I think Chris Paling is a radio voice here?? And yes, must look out for his books . At risk of adding to the damage I think you will ADORE the new Claire Tomalin biog of Dickens and talk of things found in books , a lovely hand written card from Claire Tomalin to the previous owner of my copy of her biog of Katherine Mansfield tucked inside my second-hand copy.Oh and another thing, don’t miss Helen Rappaport’s book on Victoria & Albert Magnificent Obsession!